You suffer from a feeling of tightness and heaviness in your chest region. 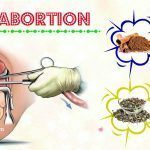 This causes very unpleasant and uncomfortable condition. 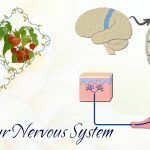 If not early cured, it can block the flow of oxygen into your lungs and also cause serious health issues such as pneumonia, bronchitis and asthma as well. 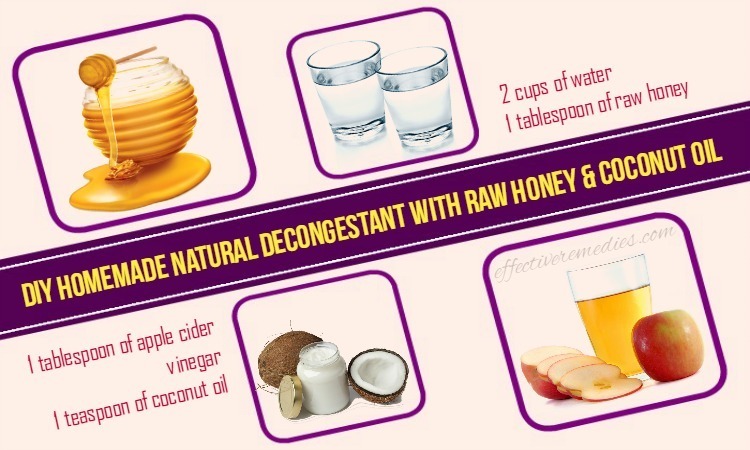 If you do not want to apply chemical laden decongestants to get cure from congestion, simply you can make your DIY homemade natural decongestant in order to unblock your chest and nose as well. 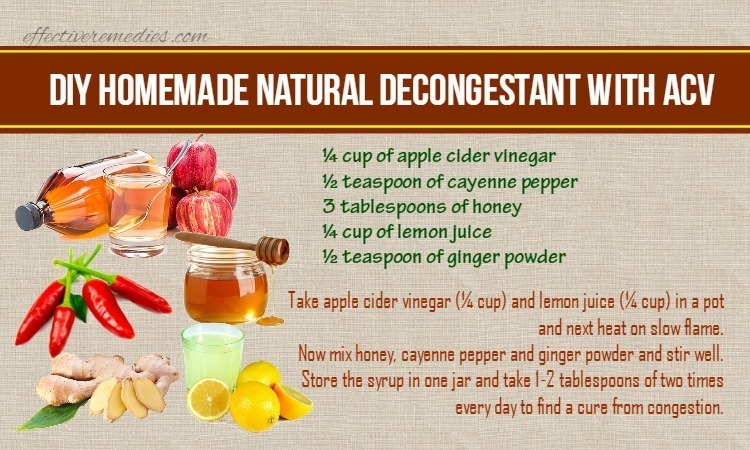 Here are 6 DIY homemade natural decongestant recipes, which are collected by EffectiveRemedies.com from reliable sources, will help to thin your mucus, decrease inflammation, and clear the nasal passage. Nasal and chest congestion occur because of the buildup of thick mucus around your lungs and nasal passage making breathing difficult. Cough and chest congestion are common flu and cold symptoms, according to FamilyDoctor.org. Infections, such as sinusitis and bronchitis, can also lead to chest congestion. It is advisable to consult a physician to prevent a serious infection or illness for people with persistent chest congestion. 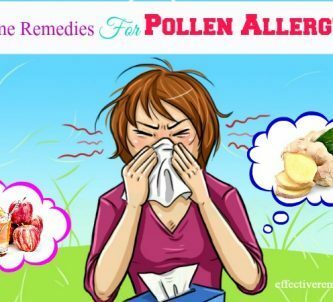 There are also several home remedies that can relieve congestion and you can use them alone or with doctor-prescribed medication. 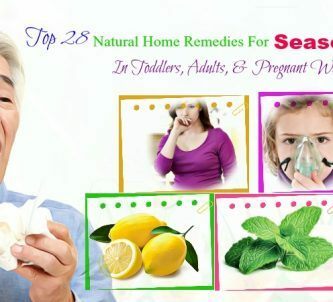 This DIY natural homemade decongestant helps to clean stuffed up the nose by decreasing the production of mucus and act a great expectorant by expelling your mucus and loosening it by the way of coughing up. 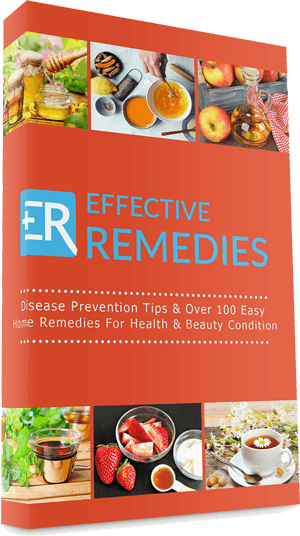 The ingredients like honey, cayenne pepper and ginger are all natural expectorants. Apple cider vinegar also helps in thinning your mucus while lemon juice high in vitamin C assists to boost immunity and assists to add flavor to this recipe. 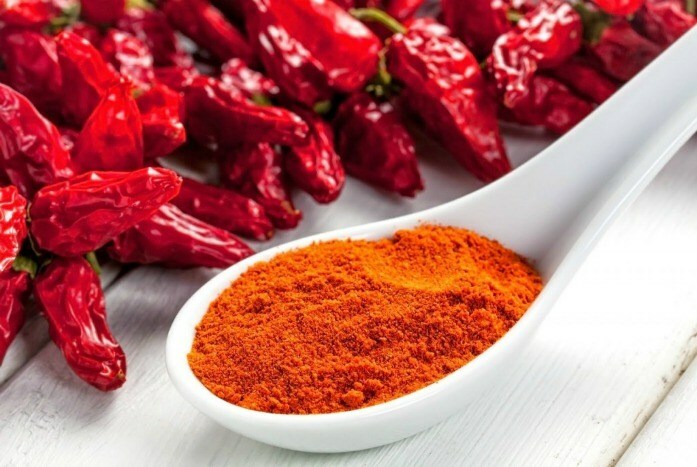 Cayenne has a natural chemical capsaicin that reduces inflammation and swelling of the nasal passage and also makes it easier to drain your mucus. Take apple cider vinegar (¼ cup) and lemon juice (¼ cup) in a pot and next heat on slow flame. Now mix honey, cayenne pepper and ginger powder and stir well. Store the syrup in one jar and take 1-2 tablespoons of two times every day to find a cure from congestion. Peel plus wash vegetables and next cut them into many small pieces. Now put all of the vegetables including onion chunks into one blender to get one smooth consistency. Then, add honey and lemon juice and blend again. 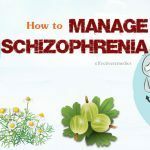 Transfer the syrup to one jar and then refrigerate after use in order to use it for one week or more. For children up to twelve years, 1 tablespoon will be enough. For adult 1 to 2 tablespoons once or twice per day will be appropriate. 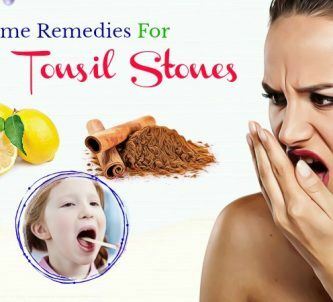 It will help in expelling mucus within 24 hours. Whip up the Shea butter oil and coconut oil for 30 seconds in one mixer. Add all these essential oils, whip again for about 30 seconds and then transfer the solution to one tight lid glass jar. To use it: apply a little quantity of this vapor rub on the back and chest when having congestion. For getting cure from nasal congestion, you need to mix a small amount in some hot water and then inhale the steam. You can apply the vapor rub in small quantity on your baby feet. This vapor rub can be used for those of any age as it is diluted with any carrier oil. Moreover, it’s cheap and does not dry the mucus plus makes you sleepy.  This DIY homemade natural decongestant is a spicy blend of antioxidant, anti-inflammatory and immune-boosting herbs with the decongestant properties. Lemon juice, packed with vitamin C, boosts your immune system to combat the infection. The apple cider vinegar present in it helps thin out your mucus and combat the common cold. Honey has healing and soothing properties. Plus, it works as a helpful cough suppressant. Also, this recipe contains herbs and spices such as cayenne pepper, ginger, black pepper and turmeric. Cayenne pepper has a compound called capsaicin giving the pepper its fiery taste. Particularly, capsaicin helps in stimulating secretions, that in turn, help drain your sinuses. Ginger is great for soothing one sore throat and other symptoms of flu and cold. 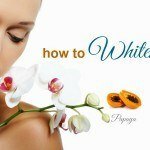 It also helps warm your body, break down congestion and improve circulation. Turmeric has compounds that help decrease inflammation and clear your airways. Black pepper also assists loosen phlegm and clear one stuffy nose. Pour ¼ cup of unfiltered, raw apple cider vinegar into one bowl. Add freshly squeezed lemon juice (¼ cup) and raw honey (2 tablespoons). Add turmeric powder (½ teaspoon) and black pepper powder (a pinch). After that, transfer the syrup into one glass jar. You can keep it in your refrigerator for several weeks. Take this spicy syrup (1 to 2 tablespoons) daily as needed. Don’t give this syrup to children under age 1. You should shake before each use. Warm this coconut oil so it is not completely solid. 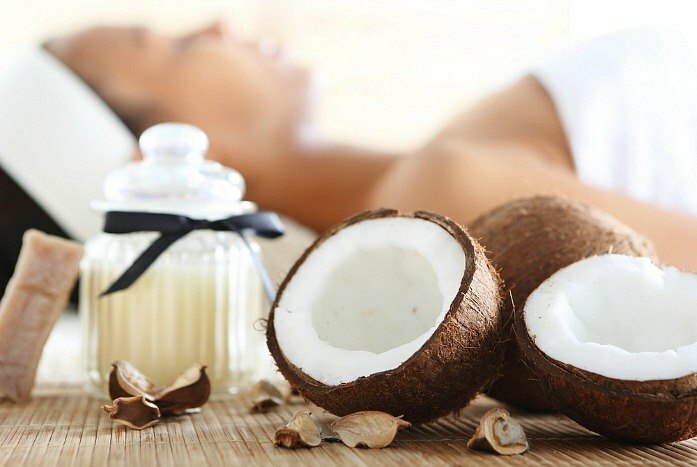 Add the essential oil (a couple drops) to the coconut oil and then store in one glass container. Now dab under your nose or spread over your chest as needed. Apple cider vinegar in this recipe is another effective remedy for treating chest congestion. It aids in thinning the mucus in your chest, thus alleviating congestion and assisting you in breathing better. In addition, it also boosts the immunity. Honey is also another well-known treatment for chest congestion because it helps decrease the thickness of mucus. Honey also helps fight infection because it is high in antibacterial and antiviral properties. Vinegar and honey are two of the main ingredients in this homemade cough syrup. The strong-tasting syrup helps calm persistent coughs accompanying chest colds as well as infections. Slice ginger and place into one pot and then cover fully with water. Now bring water to one boil and after that remove from the heat with a lid. Let steep for about fifteen minutes. After it has completely cooled, pour into one airtight glass container. When you are ready to consume it, bring back to one warm temperature on your stove and add the vinegar, honey, and coconut oil. 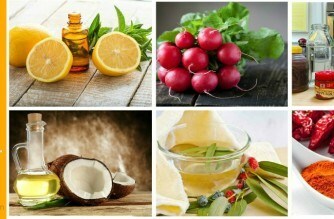 To get more about helpful and easy recipes for health, and beauty care, go to our main DIY Recipes page. 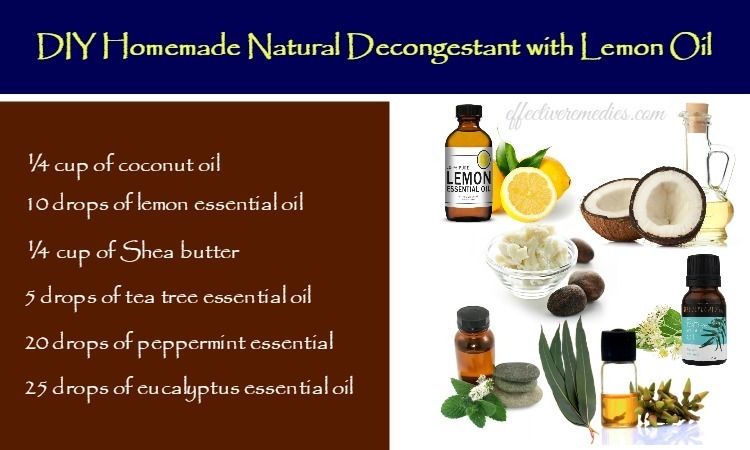 After reading this writing of top 6 DIY homemade natural decongestant recipes, hope that it can help you learn more some easy recipes to make natural decongestant at home. 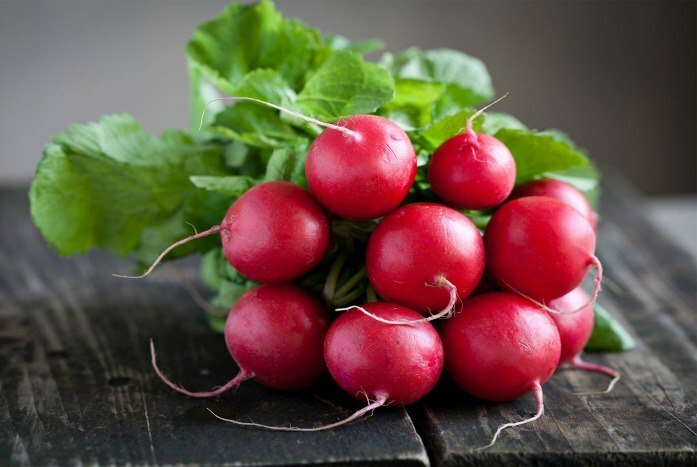 Along with using this above –mentioned natural decongestant recipes, drink plenty of fluid and water that will help to loosen your congestion. You should take rest so that the body can heal itself. If you have any question or comment, please leave them below, we will respond soon.